September 1st, aka "Force Friday II", is already exciting because it's the day the first wave of products from Star Wars: The Last Jedi hit shelves, but now Lucasfilm has added another feature to make the entire weekend extra special. Today they announced an augmented reality scavenger hunt that will take place in stores from September 1st-3rd using the official Star Wars app. Throughout the weekend, fans are encouraged to find the special "Find the Force" logo on Star Wars display graphics in stores. This will unlock holograms of iconic Star Wars characters. There will be fifteen total holograms, with five different ones available each day of the weekend. 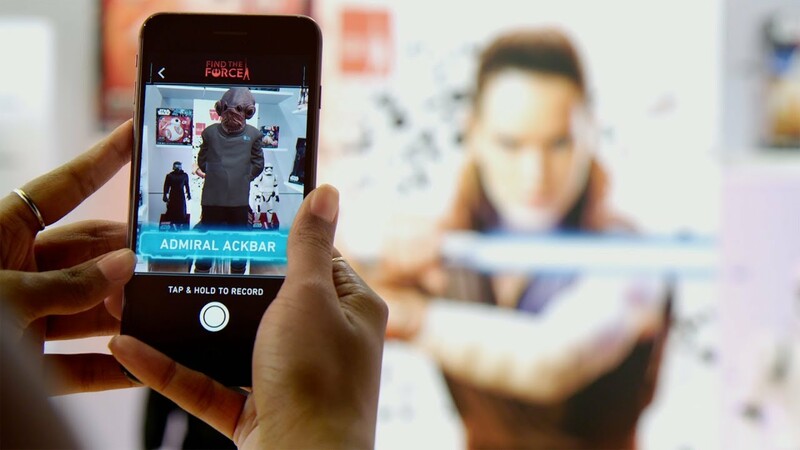 20,000 stores in 30 countries will be taking part in the event will be taking part in the "Find the Force" scavenger hunt. 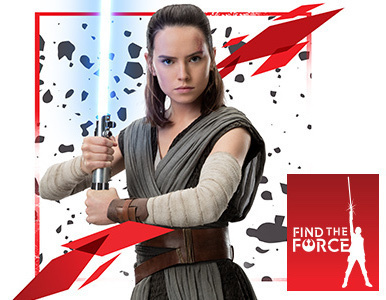 Fans can also enter into a sweepstakes to win a trip to visit Lucasfilm headquarters in San Fransisco and attend the premiere of The Last Jedi in Los Angeles by posting pictures of themselves with the holograms on Twitter and Instagram with the hashtags #FindTheForce and #Sweepstakes. Full contest details here. Fans who want to get a jump on the fun can download the most up to date version the app (or update their app if they already have it) and scan the image below to get a look at the Porg hologram! You can find a full list of participating retailers here. It will be interesting to see what characters will be a part of the scavenger hunt. Hopefully this event will give us a look at some new characters like Rose, DJ, and Vice Admiral Holdo.